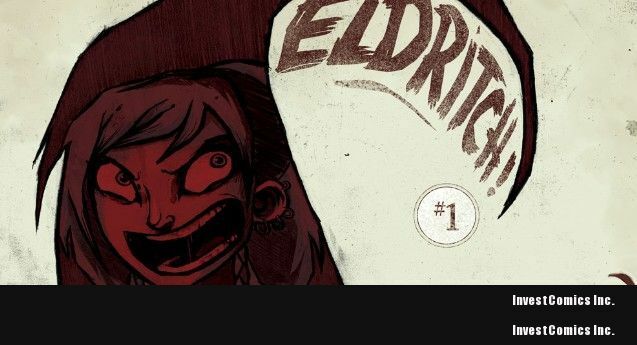 Oh, the Comedic, Tentactled Horror of ELDRITCH! Aaron Alexovich and Drew Rausch would like to be to comics what Lovecraft was too futuristic (and today, a bit prognostic) sci fi. And with their Zuda-winning comic ELDRITCH! They’re off to a Big Bang start! Part horror, part comedy, part blasphemy, ELDRITCH! is one of those wacky, irreverent tales that swishes and swirls on the page like a magic elixir that draws you in and sweeps you away to a Creative Kingdom you couldn’t imagine. In both story structure and artistic composition, these dudes write and draw outside of the lines and the result is … well, GODDAMN REFRESHING!! CLICK PDF BELOW TO CONTINUE ON TO THE ARTICLE!! YOU’RE GOING TO LOVE THIS! !